“The Pretzel” route on Watopia is punishing indeed, at 44.8 miles (72.1km) in length and an elevation gain of 4,375′ (1333m). 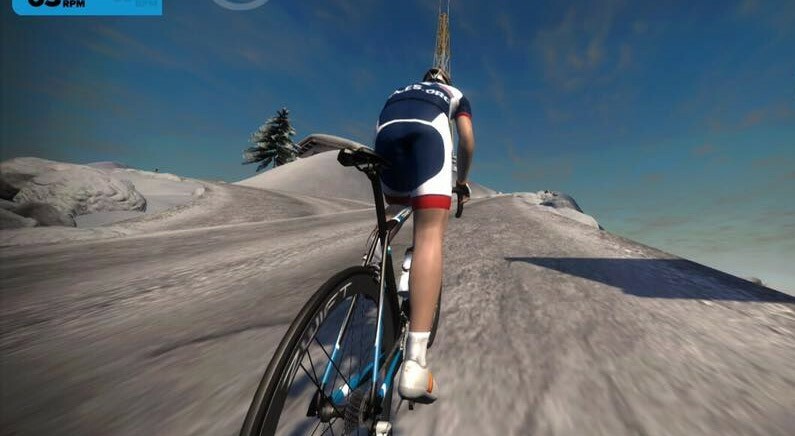 When this route was released it was the longest and most challenging route on Zwift, covering all segments in Watopia at least twice. With new roads and routes added to since its creation, The Pretzel is no longer the longest or toughest route. But it still packs a punch! You did a phantastic Job and created phantastic new worlds and opportunities. It was worth every second waiting for. Is there a Strava segment yet? Yes, there is a Strava segment…naturally. I suspect this is actually 1 1/2 times the pretzel. 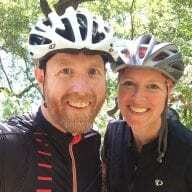 Others who have ridden the Pretzel report that it didn’t lead them up to the top after the reverse climb, and according to Zwift’s email announcement, the Pretzel is about 40 miles long. I rode the Pretzel earlier today. I selected Pretzel in the course listing and let the program make all the turns. It did not take me up to the Tower on the reverse Epic KOM climb and I finished at the start finish banner with about 42+ miles and about 4300 feet of elevation. You can also modify this ride to ride every road exactly once in each direction. Currently there is a small section of road not ridden in the pretzel on the ocean blvd. Before doing the epic kom the first time, simply ride this section of road, and then u-turn at the next turnoff before continuing further up the mountain. I rode this morning. 41 miles just past the S/F banner with 4393 ft. It did try to send me back up to the radio tower on the reverse Epic KOM, but I just manually went straight. It is one serious beast, especially for a flat lander like me. But I loved the challange. Ride on! Just selected and rode the Pretzel, worked out as 37.3 miles, 4728 ft elevation,took me to mast twice, up Watopia KOM reverse twice. not recognized on strava as pretzel segment, still was fun anyways! Same here as Todd. Down the reverse KOM the second time, it eventually took me to the Start/Finish in the reverse direction I started from. I ended my ride about 1.2 miles past measuring 37.7 miles and 4734 ft of climbing. I am glad that the “bug” has been called out. I wondered if it was just me. I never got to the S/F line. I had a similar problem. Took when I came down from the tower the second time, I went left again. After about 40 miles it was going to take me up the Epic KOM again and I bailed. Not sure what’s up with that. The descripton above of the turns is not right according to the map above. I can’t see pretzel route? why? Great idea. More of these style competitions, great incentive to get on the trainer and bust a gut. More please. (PS) Not sure already requested, but can there be a better timed count down to any KOM or Sprint sections? is there a way to confirm that my successful completion has been entered? i finished the challenge while still on my strava trial (doh) and i’ve since subscribed, but only after a 1-2 day period of no subscription. hoping my entry didn’t get blanked! I appreciate all of the ‘Zwift Blog’ verified Strava segments. I did the Pretzyl route as part of the official December Zwift fondo today, which was an official ride that departed from the dock.. I was disappointed that I can’t compare my Pretzyl time against other previous attempts, but after I thought about it — it makes sense. Adding the dock start segment means that you miss the first part of the ‘Zwift Blog verified’ Pretzyl. I would love it if you added some ‘offiical’ segments that included the dock or else started all ‘official’ segments just after the dock so that times mght be compared segments with non-race or non-group-ride attempts. I just did the Zwift Tour of Watopia Stage 8 and my effort doesn’t show up on this segment. I’m guessing something to do with the start point? 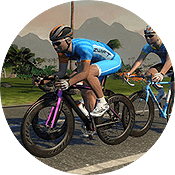 I only display Zwift Insider verified segments, so it would be nice if the Zwift Tour races were done your verified segments. Would be great if the info included what level you have to achieve before being able to ride these routes.